Your personal pleasure peak, which began on the 20th of last month, gets even stronger and more intense this month. Between 60 and 70 per cent of the planets are either in or moving through your 5th house. The danger here is overdoing a good thing. Yes, we should enjoy life, but life is more than just the ‘pursuit of pleasure’. And often when we overindulge in physical pleasures, there is a price to be paid afterwards. There is a price tag on everything – usually hidden – but it is there. One of the problems here is that you will get so lost in pleasure and leisure that you overstress your finances. In some cases this shows over-spending on the children, to a point of discomfort. This power in the 5th house is really the main headline of the coming month. Those of you involved in the creative arts will have a banner month – a super-creative month. The ideas and projects flow like water. Even those of you not involved in professional creativity, will be more creative than usual. 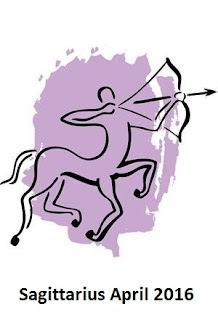 Sagittarians of appropriate age are more fertile than usual – this has been a trend since January 22, but even more so this month. The unattached are doing a lot of dating and party-going. But with the love planet still retrograde until the 23rd, no important love decisions (one way or the other) should be made. With Uranus in your 5th house there is a lot of unconventional fun happening. It’s as if you are testing the limits of pleasure these days. Try to avoid the daredevil stunts from the 3rd to the 5th and from the 9th to the 13th. Health is excellent now. You have superabundant energy. You are finding that joy itself – the feeling of happiness – is the great healer and energizer. Your speculative urges are very strong. Many of you will be allured by the casino and gaming table. But with your financial planet stressed this month, don’t overdo it. Wager with what you can afford. Gaming should be fun, not put a stress on you or your family. On the 20th the party still continues, but less so. The Sun moves into your 6th house and you are more in the mood for work. Job-seekers should have good success. There are opportunities in foreign countries or with foreign companies – foreigners in general seem helpful in your job search.